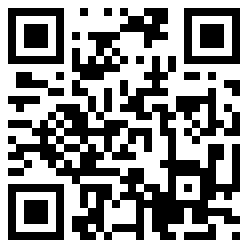 Home Meatspace Reasons why QR Codes aren’t dead! I’ve always been a big advocate of QR codes – provided they’re used correctly and not stamped on all sorts of stuff for the sake of it. I think they can be an amazingly powerful way of communicating information in a simple cross-platform way. A couple of months back Forbes asked Are QR Codes Dead? and were thin on examples of their success. A Quick Response Code (QR Code) is a two-dimensional barcode that can be ‘scanned’ by the camera and software in most smartphones. Originally created to help track the inventory of parts in factories, the advent of smartphones with high quality cameras brought about a bit of a revival and some new use-cases. For example the code above will take your smartphones browser to http://cotdp.com/blog/ – not a great example, my blog is not great on smartphones but you get the picture. The size and complexity of the code’s design is dependent on the amount of data encoded in it. To compensate for poor images or occlusion of parts of the code error correction data can also be added. and above all else .. be useful. 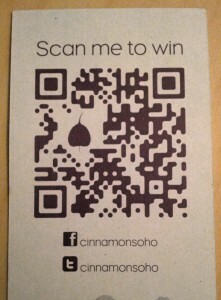 As time went by, the “QR Fad” waned as marketers jumped onto the next mobile/marketing bandwagon (Augmented Reality?) and only the useful QR Codes remained. 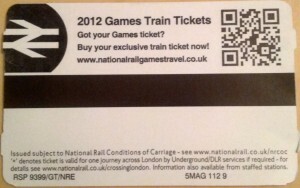 I only noticed this the other day when buying a paper travelcard in London. It’s a 2.5 points from me, slightly less than full marks mainly because the site wasn’t great on mobile. I picked up this business card at the Taste of London event back in June. The design of the code has been embellished somewhat, the restaurant logo is embedded into the code and the code-bits themselves have been rounded. Lesser quality QR code apps might struggle with this one, but anything based on the Zebra Crossing library will do just fine. 2.5 points from me, pinning the competition to Facebook means its not going to work for everyone, but hey ho. While doing a quick shop in Waitrose on the way home I noticed QR codes on some of the produce. 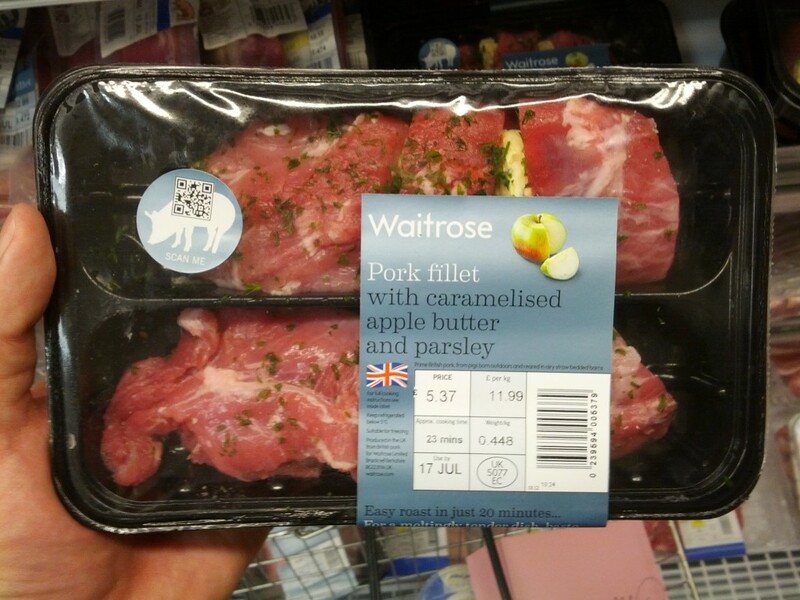 It seems that Waitrose have partnered with Mobile 5 to run these QR codes on a range of items in the store. The code launches your browser to a bespoke mobile-friendly (app-like) website with relevant information about the product you scanned. 3.0 points, probably the best implementation of QR Codes I’ve seen to date! It’s not uncommon when a new piece of technology comes along for lots of people to immediately start creating/fabricating use-cases that need it. The result is lots of lame examples of the technology being applied, but not solving any existing problems. The example above for Waitrose is very different, they already had a problem “We want to sell more fresh meat produce”, and they’ve likely got feedback from their stores that customers frequently ask for recipe suggestions. Waitrose already give away free recipe cards around the store. In this particular case QR codes provided a convenient, timely, and useful way for customers to get the information they want for themselves. Taking myself as a simple example, I would have probably said “meh” to this product without finding an interesting looking recipe courtesy of this QR code and the mobile-friendly website. In my opinion QR codes are not dead, they’ve just been waiting for someone with an existing problem/use-case to need them, not the other way around. I hope the Waitrose & Mobile 5 project expands to more products in the store, I’ll certainly be keeping an eye out for them. Good Post Michael. History and pros and cons. I’m with you (am biased too with our QR Code Business Card tool) but I can see QR Codes hanging around for a while being a low cost means to engage with others via ‘Glued-to-hand’ mobile technology.